Make more than an impact. Make a lasting impression on your customers, prospects and industry by hosting a conference. While any type of event takes a little work to organise and connect with your market, the right conference can position your company as a thought leader in the industry. A conference, done smartly, has a number of benefits, particularly with everything being online now. It’s a great way to build relationships – something that should be the foundation of every business. Conferences bring people within your industry together. Magic can happen when you put bright minds in one room – collaborations, business ideas and new clients. It’s a great space for you to expand your network, as well as build trust with potential clients. You never know what will come from these connections. Those ‘ah-ha’ moments can hit after an interesting conversation with a speaker or learning about a problem that one of your clients are facing. It could transform your business completely. Also, if you have an idea you’d like to ‘test’, use the conference as your platform to talk about it, test the water and see if it’s something of interest. People love sharing their knowledge and showcasing their experience to a group of interested people. Make a list of industry leaders you respect and contact them. Don’t assume that just because they’re big, they won’t want to be involved or spare you some time. You’ll be surprised at how receptive people are. Remember: successful, motivated people appreciate up-and-coming motivated people – you just need to put your feelers out. As you market your conference, more and more people will learn about your company. If you’ve secured a few high-profile speakers, ask them to share the event with their network. This will bring your company to thousands (or millions) of new people, which is a credible and extremely powerful strategy. All of these factors will help generate revenue. A sold-out, bums-in-seats conference can help fund all types of future endeavours your company pursues. 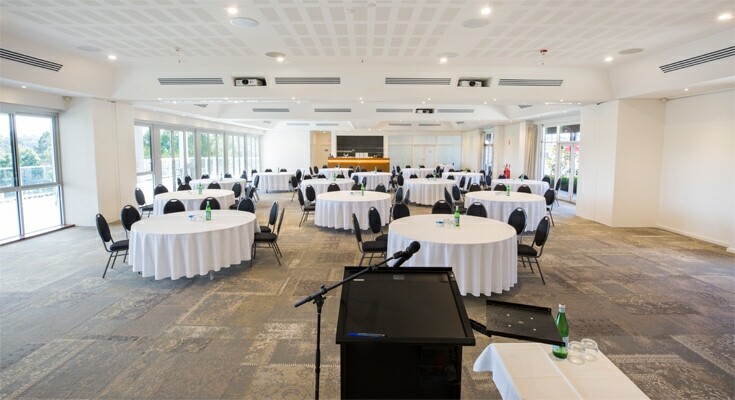 Looking for Adelaide conference locations or planning support? Contact us at the Adelaide Hills Convention Centre. Don’t worry about hiring a freelance event manager. With us, you have access to our planning team, as well as a beautiful setting to host your conference in. Let’s start jotting down ideas together.